If you are someone who wants to have limitless battery life because you are into gaming, streaming, or binge watching, then the Zenfone Max Pro is the phone for you. Built with a large screen and 5000MaH, this phone is absolutely perfect for anyone who has ever felt the frustration of being low batt in the middle of the day. Yes, we have the ZenPower powerbank from ASUS to save the day but if we can go through a day without having to charge again, wouldn't the be more ideal? For someone like me who uses data the entire day, this is definitely ideal. 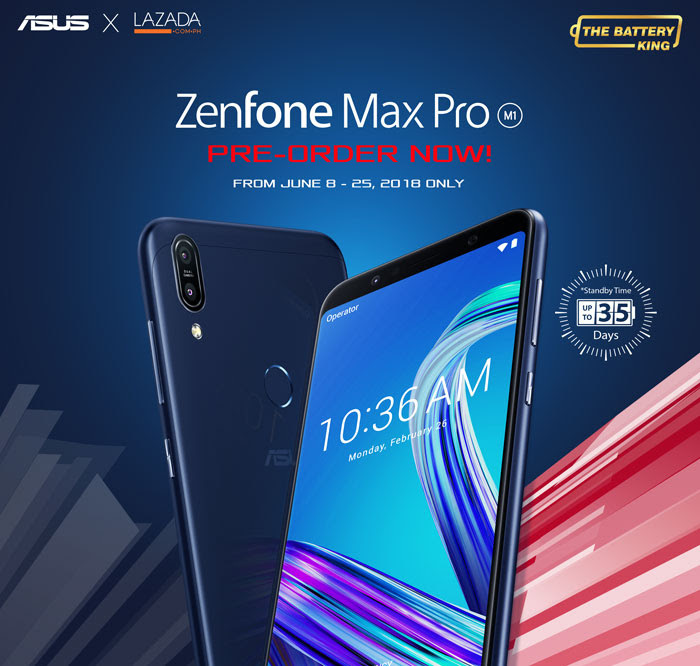 Be one of the first to own the newest #ZenFoneMaxPro – the smartphone that levels up your mobile gaming experience with its powerful SD 636 processor, massive 5000 maH battery, and dual bokeh cameras for only P9,995. Pre-order starts today until June 24 only, so visit Lazada now!